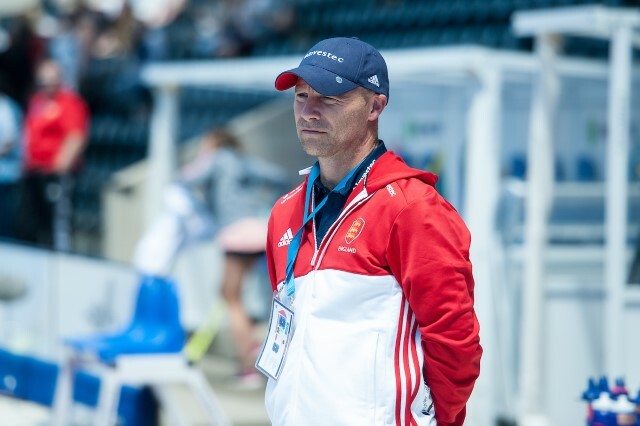 England Hockey is delighted to announce the appointment of Danny Kerry as Head Coach of the Great Britain and England men’s international teams. Danny has spent the best part of 13 years as Head Coach of our women’s international teams, and was the outstanding applicant in a worldwide search to replace Bobby Crutchley, who left his post earlier this year. Danny’s record marks him as the most successful coach in British hockey history, having taken the women’s team to Olympic gold and bronze medals, European gold and their highest ever FIH world ranking. The 47-year-old accepted the role last week, and will take up his post in early September, as the Great Britain team prepare for their Toshiba International against Belgium on Wednesday 3 October in London, marking 30 years since the gold medal in the Seoul Olympics. In November the England men’s team travel to India for their World Cup, before the FIH Pro League begins at the end of January 2019. Performance Director Ed Barney said, “On behalf of Great Britain Hockey I am delighted to announce Danny’s appointment. Following an open recruitment process, Danny was clearly the outstanding applicant in a highly competitive pool of experienced and medal-winning candidates. Danny added, “I simply cannot wait to join a great team of staff and athletes and to begin a new chapter in my professional career. I have for many years watched the fellas train and compete and often wondered whether I would one day have an opportunity to work with them. That opportunity has now come and I am excited. There is ability, there is a desire to put in the hard practice, there is a desire to want to be better, and to be selected to serve that programme, I am really delighted. “I look forward to working hard to continue to build on the work of the athletes and that of previous coaches Bobby and Jason. The World Cup around the corner in November is an exciting prospect and I know how hard the team and athletes are preparing. Swiftly on the heels of that is the new FIH Pro League and critically we also have Olympic Qualification to attain in 2019, added to that the EuroHockey Championships in August. We have a great programme, staff and athletes and a sense of intent, and I am looking forward to the road ahead. “After 13 and a half years of serving the women’s programme I am very proud of what the many teams of athletes have achieved. I believe we have been instrumental in raising the profile of women’s team sport and the impact in terms of increased participation in hockey has been astronomical. The incredible scenes at the recent women’s Vitality Hockey Women’s World Cup are testimony to that impact. Since Danny’s first appointment as Head Coach of the women’s teams in January 2005, they have risen from 11th to 2nd in the FIH World Rankings, winning medals at four world level events. His England and Great Britain teams won their first ever medal at a World Cup, and first ever women’s gold medals at both the EuroHockey Championships and Olympic games. He was twice named FIH Coach of the Year, as well as Team GB Coach of the Year. In 2016 he was awarded an MBE for services to women’s hockey. Danny will be assisted in his new role by Russell Garcia and Jon Bleby. With regards to the vacancy for a women’s teams’ Head Coach, the process will begin immediately and we aim to have a candidate in place well ahead of the FIH Champions Trophy in China later this year.